He served during the Battle of Buxar against the East India Company as the highest commander of the Mughal army from 1772 till his death in April 1782. 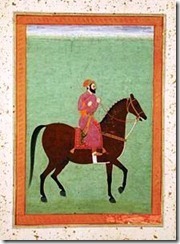 The Mughal Army he created was based on the European model backed by traditional Mughal cavalry. Historian H.G. Keene in his “The Fall of the Moghul Empire of Hindustan” says that in 1781 the army of Mirza Najaf Khan was the most formidable military force in India aside from the British army in Bengal. 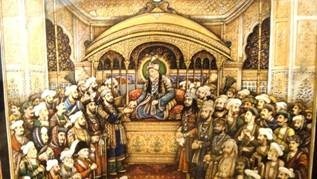 Mirza Najaf Khan (1723– April 26, 1782) was a Safavi prince [of Persian origin], and was related to the Safavid rulers of Persia. After Nadir Shah ousted the Safavids, Najaf Khan was imprisoned by Nadir Shah, and was released only at the request of Safdarjung’s elder brother. This dynasty was deposed by Nader Shah in 1736. After his release, Nazaf Khan came to India around 1740 or may be a year earlier with the Afsharids. 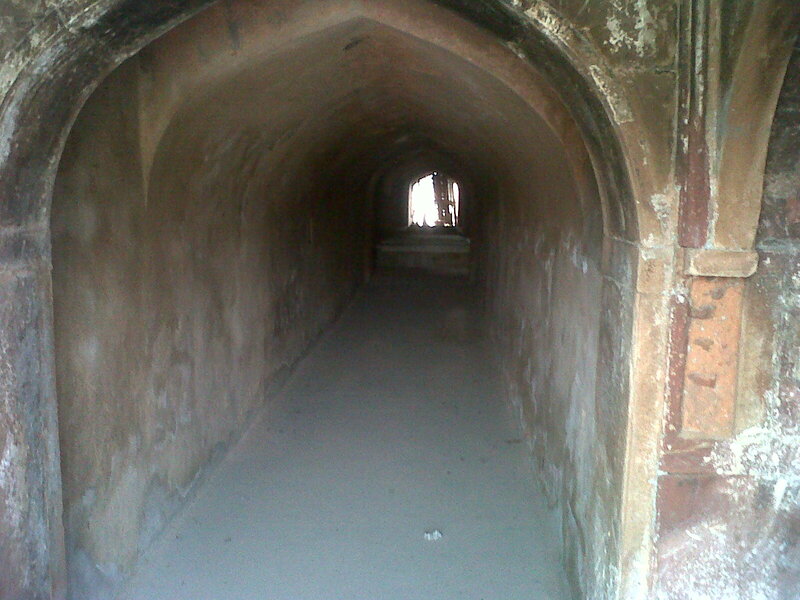 Here he entered the service of the rulers of Awadh. 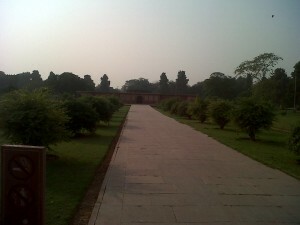 When they became powerful in Delhi, Najaf Khan’s power also grew enough to establish himself as an important courtier and general at the Mughal court. He was appointed in the court of Mughal emperor Shah Alam II. Najaf Khan’s sister was married into the family of the Nawab of Awadh, so he also held the title of Deputy Wazir of Awadh. 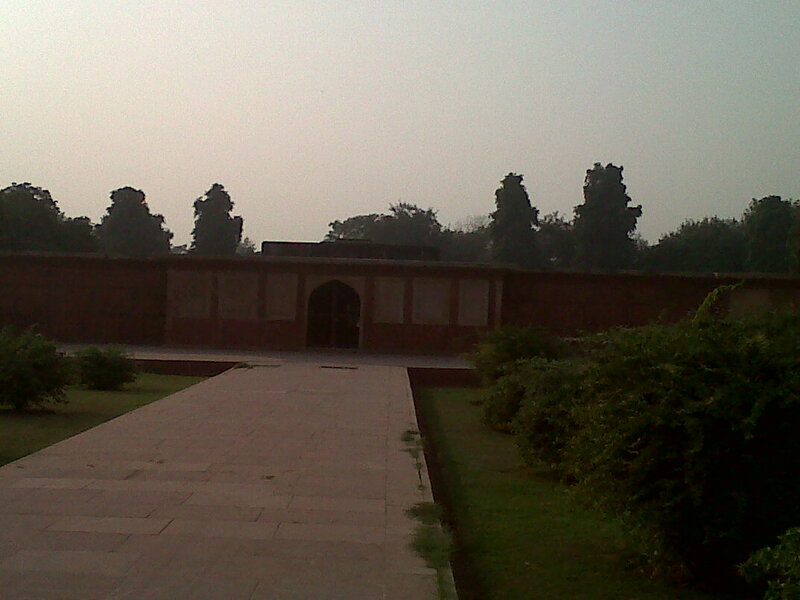 The troops of Shah Alam were commanded by Mirza Najaf Khan. 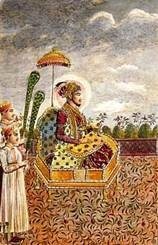 Najaf Khan wielded considerable power in the Mughal court until his death in 1782 A.D.
Shah Alam II aka Ali Gauhar (1728–1806 CE) was the eighteenth Mughal Emperor. He was the son of the murdered Alamgir II. 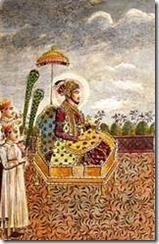 Shah Alam II though considered the only and rightful emperor but he wasn’t able to return to Delhi until 1772. He had fought against the British East India Company during the Battle of Buxar and reformed the Mughal Army under the command of Mirza Najaf Khan and thus came to be known as one of the last effective Mughal Emperors. 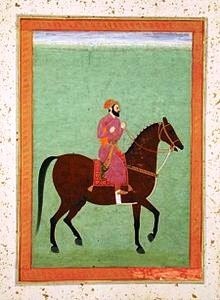 Blinding of Shah Alam II by Ghulam Qadir who had ravaged Red Fort in search of the Mughal treasure believed to be worth Rs 250 million. Unable to locate even a fraction of that sum and angered by the Mughal Emperor’s attempts to eliminate him, Ghulam Qadir himself blinded Shah Alam II on 10 August 1788. Shah Alam II’s grave lies, next to the dargah of 13th century, Sufi saint, Qutbuddin Bakhtiar Kaki at Mehrauli, Delhi. Mirza Najaf Khan was instrumental in amalgamating European techniques and methods of warfare with those of the Mughals, making his regiment formidable before the advent of the British Cavalry of Bengal despite the fact that the Mughal Empire was coming to its unceremonious end. This was a time of conspiracies and treacheries, inevitably keeping Mirza Najaf Khan on his toes and out of Delhi due to upheavals created by the empire’s rivals. His army had to face threats from the Rohillas, the Jats, the Marathas and the Sikhs. Mirza Najaf Khan died on April 26, 1782, after a brief sickness and left behind an adopted son Najaf Quli Khan, who had converted from Hinduism. 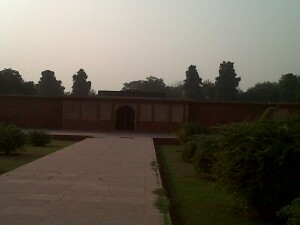 The char bagh tomb of Najaf Khan, near Safdarjung’s tomb in Delhi, is a unique structure, as it is in the shape of a square platform with octagonal bastions on all four sides and does not adorn a dome. Perhaps it could never be completed. Short staircases lead up to the top of the platform, which is marked by two ruined cenotaphs. There are two cenotaphs on a smaller platform on the larger one, one said to be that of Mirza Najaf Khan and the other of his daughter Fatima, who died in 1820 A.D. The actual graves are in a crypt underground; a vaulted passage leads to this crypt, where you can see a few carved marble gravestones. Within 6 years of his death, the Mughal army ceased to exist and Mughal emperor rendered powerless. This entry was posted in History and tagged Ghulam Qadir, Mirza Nazaf Khan Baloch, Shah Alam II. Bookmark the permalink.